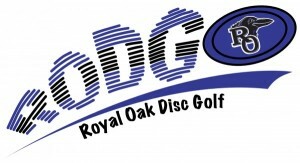 This event is a fundraiser for the Royal Oak High School Disc Golf Club. Half of the entry fees will go to the club, while the other half will be used as cash payouts for the top 5 finishers. If necessary, a sudden death playoff will be used to break any ties in the top 5. The playoff will play a loop of holes 15-18 until someone wins. Registration: You can cashless preregister by posting your name and pdga number (if you have one) in the comments section. Course: The inside of the school will be turned into an 18-hole putt-putt disc golf course. Hole lengths will be between 30 and 100 feet and will play though the halls, up and down the stairs, and in the gym. Cost: $20 for all players. Format: 2 rounds of 18. All players will be given tee times from 10:30am-11:30am. All players will play both rounds with their group (2nd round immediately after the 1st). Tee Times: Tee times are listed next to names on the registration list. Refreshments: Bottled water and snacks will be provided to all players. This year, the baskets will be Axiom Pros! We will be raffling one of them off at the event. The remaining 17 baskets will be available for purchase and you will be able to take yours home right after the tournament ends! I will message you back for payment options. - Players will only be allowed to use putters (no mids or drivers). - Holes will be played just like any other course. - When "teeing off", all supporting points must be on the tee pad, which will be marked with tape. - You can use a mini or the disc from the previous throw to mark your lie. - All holes will be par 2. - A foot length of casual relief will be allowed only if you cannot place your foot behind your lie (because a barrier like a wall is prohibiting you from doing so). NO OUTSIDE FOOD OR DRINKS ARE ALLOWED TO BE BROUGHT INTO THE SCHOOL. Royal Oak High School Disc Golf is responsible for all refunds/cancelations.